2009 was quite a benchmark year for me. In May of that year, I resolved to get into shape by hiking 100 times in 240 days. After 417 trail miles through 3 states and 3 countries, I lost 25 pounds and gained invaluable lessons about myself and hiking. 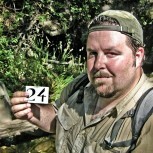 This project predates TheHikeGuy.com and was blogged at my other site, 100hikes.com. I still have a lot of stories I intend on telling about that project. By January, I decided to aim high again with a few lofty goals: To join a search and rescue team, to hike 500 trail miles by the end of 2010, and to hike with 150 people. I wasn’t able to complete all of them, but felt good at what I did accomplish. It was a fantastic feeling to hike my 500th mile of the year in New Zealand on my birthday… a full three weeks ahead of schedule. At the beginning of 2011, I had again thrown down the gauntlet and was energized at completing new goals for the year. All was on track until April, when I was laid off from my employer of six years. Things changed drastically for the better. I raised the bar and, instead of resolving to summit Mt. 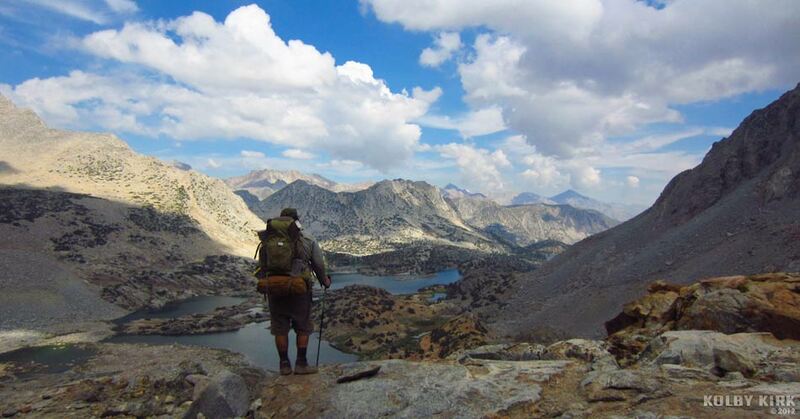 Whitney, I resolved to hike the Pacific Crest Trail as far north as possible. 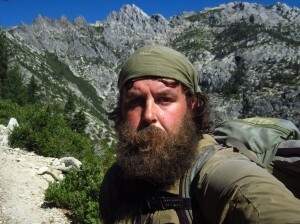 On October 6th, after hiking for 159 days and over 1,700 miles (including the summit of Mt. Whitney), I proudly ended my journey and felt that I accomplished something beyond anything I’d ever done before. I fell in love with the Sierra Nevada while hiking the PCT. I wanted to return and explore the mountains more extensively. In June, I headed in via Walker Pass and spent the next 42 days zigzagging up the mountain range. I had to cut my trek short, only hiking about 350 miles rather than the planned 500, but had an amazing time nonetheless. After exiting the Sierra at Bishop Pass, I hitchhiked home to central Oregon, an adventure unto itself! For my latest goal, I’m determined to hike 100 times and 700 trail miles by 2014. 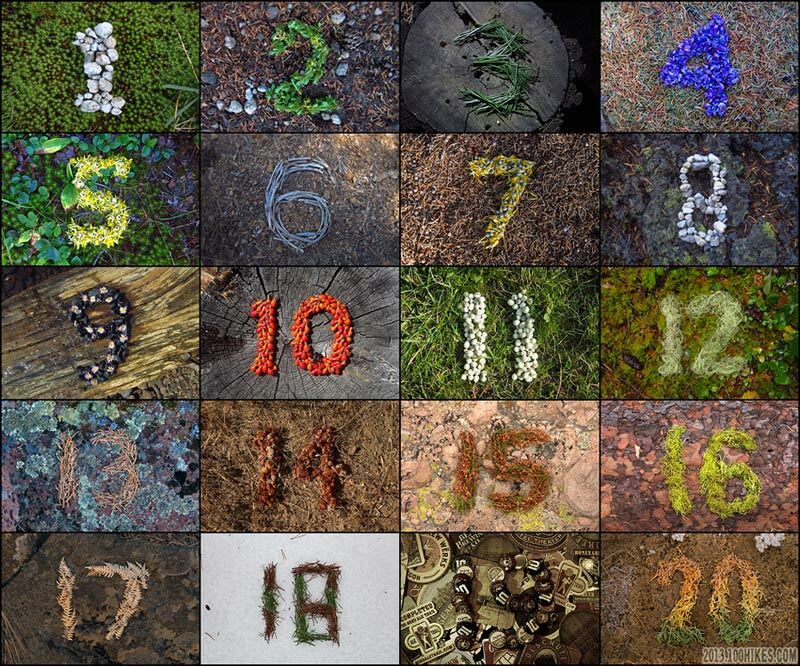 Instead of carrying a card with the hike’s number on it, as I did in 2009, for this project I will be making the number out of material I find on that particular hike. 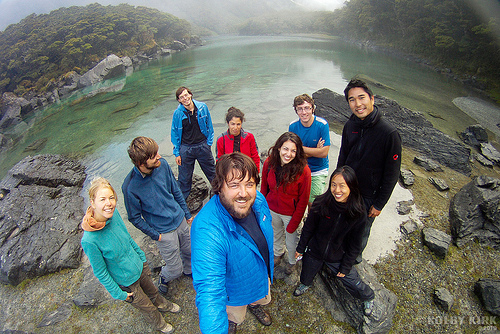 I am blogging the project here as well as at 100hikes.com. I look forward to sharing my next adventures with you. Stick around!